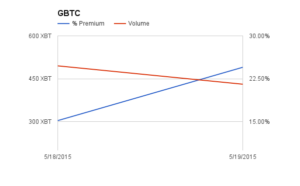 This report presents the daily trading premium to NAV and Bitcoin equivalent volume for any exchange listed investment securities that track Bitcoin. The report will analyse GBTC (the OTC Markets listing of the Bitcoin Investment Trust), and XBT ( an ETN listed on the Nasdaq OMX Nordic). 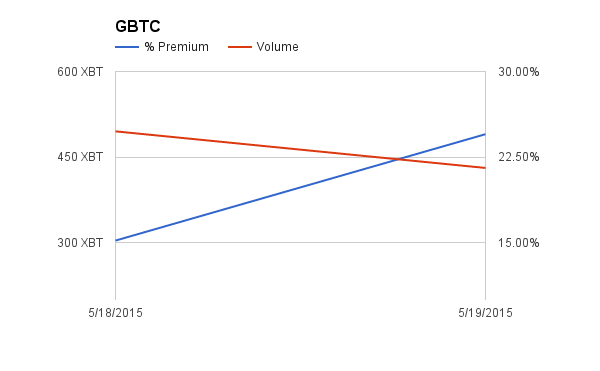 The GBTC premium is off sharply from last week. Yesterday it rose 10% to 25%. Volume has levelled off around the 500 Bitcoin mark. 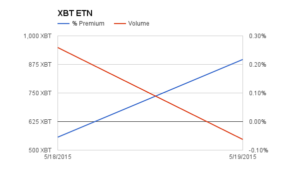 XBT’s second trading day had a respectable volume of 547 Bitcoin, which is down 50% from the listing date. 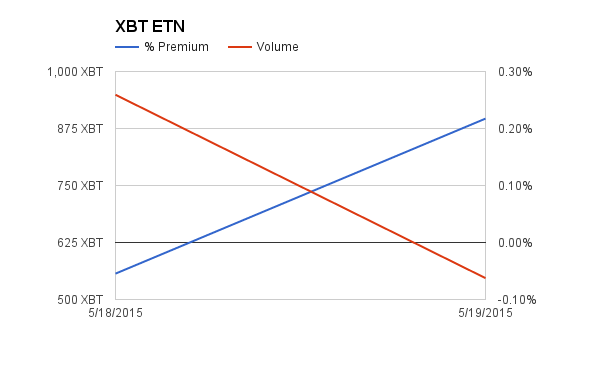 The premium rose slightly to 0.20%.